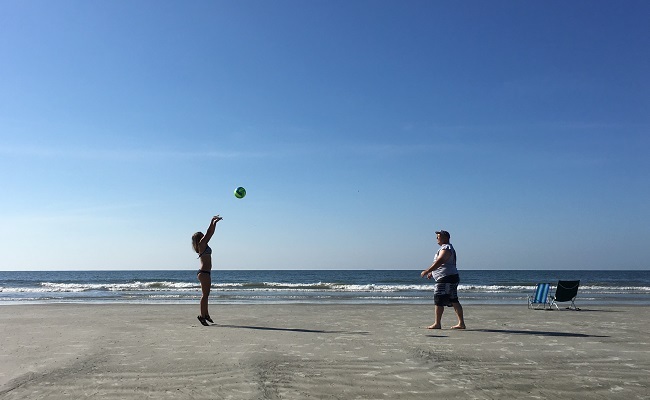 Royal Floridian and Royal Floridian South are very excited to announce our favorite 2018 summer activities for your family beach vacation. Take a quick break from the beautiful weather and gorgeous views for activities that include wine, take-home souvenirs, and magic! Wine and Cheese Bingo Social: Join us every Wednesday this summer for a rousing glass of wine and an exciting game of Bingo. We provide a complimentary glass of your choice of wine or juice and cheese and crackers to go along with your $1.00 Bingo Card. If you’re the lucky winner, you can win a variety of Spinnaker Prizes! Craft Paint Sand Dollars: Express your creativity by painting Sand Dollars. The awesome Activities Team at Royal Floridian has prepared everything you may need to create a unique vacation souvenir to take home. This is one of my favorite crafts this summer! Todd Bogue Magic and Comedy Show: When it comes to entertainment, the comedy and magic of Todd Bogue will make your night unforgettable! He’ll leave you and your family with an everlasting impression that is guaranteed to keep you smiling and laughing for the rest of the week! Todd’s unique combination of humor and magic has astonished audiences all over Florida’s East coast. The Todd Bogue Magic and Comedy Show is family-friendly. Please see the Recreation Schedule for times and dates. Dive-in Featured Movies: Summer is about vacations and family making memories that will last a lifetime. So why not relax by the pool at the end of a hot summer day and watch one of the newest family-friendly movies to be released from theaters. Guests can float with the aid of water noodles (not provided), relax on the giant sea creature floatables, or lounge on the poolside chairs while you enjoy a popular family-friendly movie. No need to register. Pool Noodle Ponies: At one time or another most adults have heard a child ask if they can have a horse. If purchasing or taking care of a horse isn’t in the budget, why not consider making a stick pony out of a swimming pool noodle! This activity can be done year round, especially when swimming pool noodles are in stock in just about every big box retailer! Keep the kids entertained and have a fashionable friend while cooling off in the pool this summer! Aqua Aerobics: Get your heart pumping and jump right into our aqua classes and build cardiovascular fitness and strength. Just like swimming, our water aerobics classes are easy on your joints, yet challenging enough to help you reach new levels of fitness. 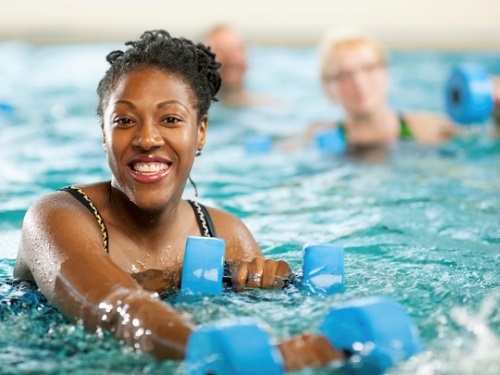 Because of their low-impact format, water aerobics classes are suitable for every age and fitness level, from novice exercisers through elite athletes. We also are offering Aqua Zumba and Kickboxing Aerobics this year. We have planned one of the most exciting summers yet! Both Bluewater Resort and Marina and Waterside Resort are ready for your family fun outdoor adventure. From our giant 4th of July Fireworks party, to the distillery tour, to the fan favorite activities this summer vacation will be unforgettable. Big Float Party: Join our staff as we bring out our big floats for a splashing good time. The staff puts all eyes on the pool to ensure everyone is having a safe and enjoyable experience. Due to strict safety restrictions, outside personal floats are prohibited in our pools. Crabbing off the Dock and Cookin’ Crab with Chef Hank: Join us for an afternoon of Lowcountry styled crabbing! Meet at the Pier and our staff will show you how to catch crabs using a standard trap or stringer. If you would like try your skill, crabbing supplies are available for purchase at the cabana or you may bring your own. After spending time catching crabs, it’s time to learn how to cook them properly. We are proud to welcome back chef, Hank Yaden, as he demonstrates how to clean and cook your crab catch! Following the presentation, he will be offering his famous She Crab Soup and other seafood delights available for purchase to complete your evening’s dinner plans. Please note that the vendor accepts cash and credit card payments for food purchases. 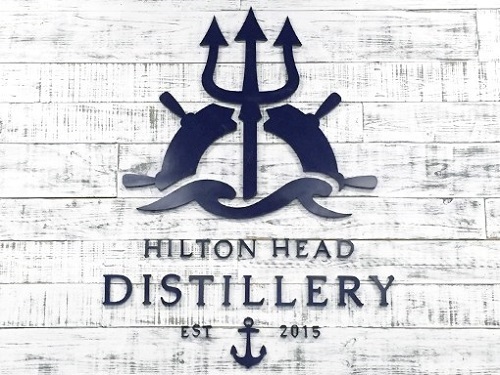 Hilton Head Distillery Tour & Tasting: Did someone say Rum! All aboard the Spinnaker Shuttle to visit the Hilton Head Distillery. You will get the chance to learn about all about their unique distilling process and enjoy a flight of several rum varieties. This tour is offered on Friday afternoons for $15 per person (room charge). Purchase tour tickets at the Cabana, space is limited and ticket sales end by noon Thursday. All participants must be 21 or older, with valid photo id. Follow Spinnaker Resorts on Instagram, Facebook, and Pinterest for more information on activities!